If you’ve got a painting project lined up this summer, consider adding a new Fuji Spray HVLP airless paint sprayer to your tool collection. With an HVLP airless spray system, you can achieve efficient, high-quality results without having to invest in a high-volume air compressor. And compared to brushes and rollers, spray guns waste less paint and deliver a better finish. The Fuji Semi-Pro 2 HVLP Airless Spray System uses a powerful 1400 watt two-stage motor to drive its turbine and move high volumes of air at lower pressures. It’s available with either a gravity-feed gun or suction feed. Both deliver high-quality, professional results. 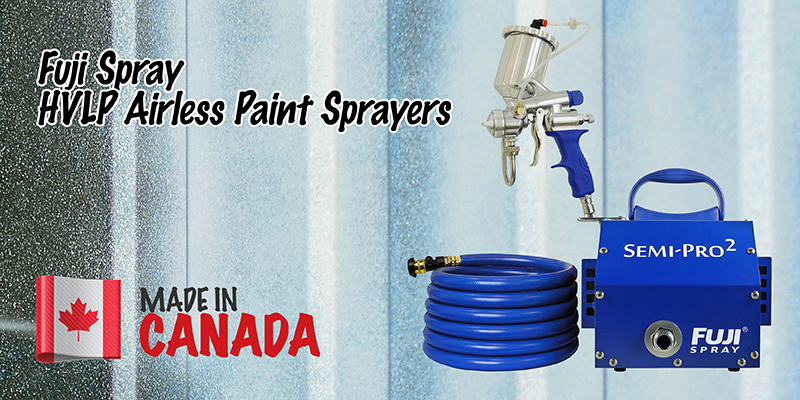 Choose a Fuji Spray Airless Spray System and enjoy the quality and performance of these excellent Canadian-made paint sprayers. 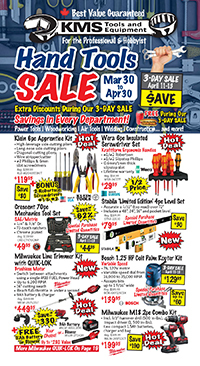 This entry was posted in Air Tools, Archives, Made in Canada and tagged air tools by Your Friends in the Tool Business. Bookmark the permalink.